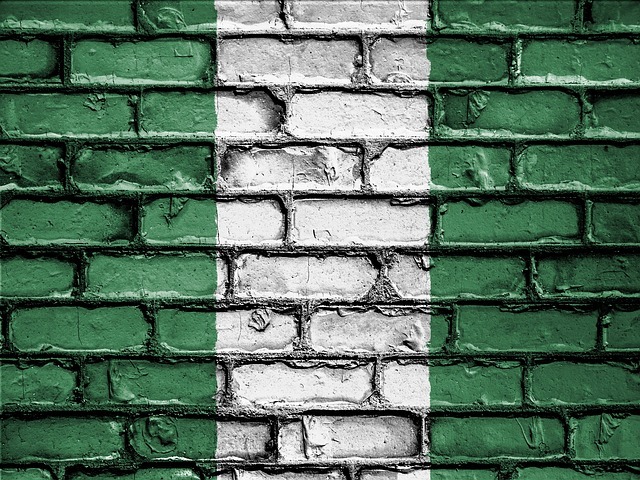 Nigeria (MNN)—Usually when people talk about extremist activity in Nigeria, they mention Boko Haram. And because most people hadn’t heard about the group before the Chibok schoolgirl incident in 2014, they might bring up the kidnapping of almost 300 school girls. However, Boko Haram, which was once said to rival the bloodshed of ISIS, might not be Nigeria’s biggest terrorism problem any longer. In the southern region, he explains that for the most part, Christians live in peace with their minority Muslim neighbors. However, it’s where these two regions meet where a lot of sectarian violence has broken out. Boko Haram is an ideology-driven group which has aligned itself with ISIS. However, another militant Muslim group in the area, the nomadic Fulani Herdsmen, are motivated by land. So religion isn’t the main factor in their attacks, but Musselman says they might use it as justification for their actions. Since September of last year, nearly 100 people have been killed in raids against Christian villages. The Voice of the Martyrs Canada shared in a recent newsletter that in September and October, the herdsmen attacked 12 villages, murdered more than 75 people, burned 489 homes, and displaced 13,726 people. In November, 15 more people were killed in three separate events. Both Boko Haram and the Fulani Herdsmen have created great havoc and instability in Nigeria. 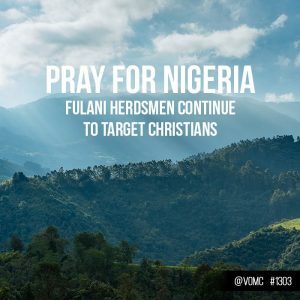 However, there are some who have warned that unless the government takes control of the matter, the Fulani will be a much more lethal force to deal with in Nigeria’s future. It’s no surprise that Christians are often the target of these attacks. Musselman says there may not be a particular reason that the Plateau state erupted in violence last fall, but rather that the situation is always a simmering pot ready to boil. “There’s always this underlying aspect of violence coming to the surface. And in some cases, it just sparks because somebody decides that they want, in the case of the Fulani, to go in and take land, and that they rally everybody up,” he explains. In many cases, the relative “peace” is really just the calm before the storm. So, what does it do to a person, at least spiritually, to live under this constant threat of attack? Musselman, who has traveled to the country on several occasions says it all depends on where they are in their walk with God. Sadly, they often lose their faith. However, there are others who have been taught the truth—that following Jesus brings suffering. And through these trials, their faith actually deepens. Musselman says it is important to pray for our brothers and sisters in Christ because this is truly a spiritual battle. VOM Canada is working on several projects in the area and they are growing their partnerships in order to better serve and strengthen the Church. They are involved with medical care, a microloan program for widowed mothers, and education that includes biblical teaching. 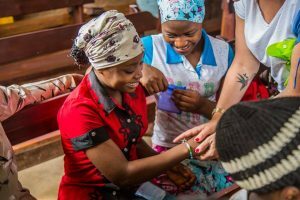 They also work with children who have been orphaned by the violence in Nigeria and help to provide whatever materials the Church might need to better serve their communities. If you’d like to partner with VOM Canada, in Nigeria or somewhere else, you can head to their website, here. You can also find more prayer points for the Persecuted Church in their Persecution and Prayer Alert newsletter, here. But most of all, Musselman says we can pray. In prayer, the Holy Spirit guides us in how we should respond to the news we hear. And in prayer, we can ask for God to waken our spirits about what is happening with the Church worldwide.